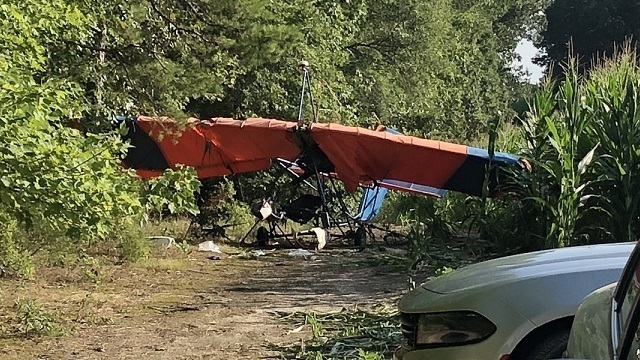 CABARRUS COUNTY, N.C. - One person was injured after an ultralight plane crashed into a field in Cabarrus County, officials said. Officials said the Federal Aviation Administration and National Transportation Safety Board have been called to the scene on Dutch Road near Mount Pleasant. There was only one person aboard the plane, and their condition is unknown after being rushed to a hospital. MOUNT PLEASANT, NC (WBTV) - One person was seriously injured when an ultralight aircraft crashed in Cabarrus County. According to officials, the crash happened around 4:30 p.m. in the 1200 block of Dutch Road in Mount Pleasant. One person was in the aircfraft and was taken to the hospital with serious injuries. MT. PLEASANT, NC (FOX 46 WJZY) - First responders in Cabarrus County are on scene of an aircraft emergency near Mt. Pleasant. Authorities say a hang glider crashed in the 1200 block of Dutch Rd. near the Bear Creek Airport. The pilot was taken to CMC-Main in Charlotte by Med Center Air with life-threatening injuries.